The Consumer Electronics Show (CES) is held annually in January in Las Vegas, Nevada. It’s an extremely popular show, and a rite of annual passage for many electronics enthusiasts who want to get a first glimpse at the emerging trends and new technologies that could shake things up now and in the future. 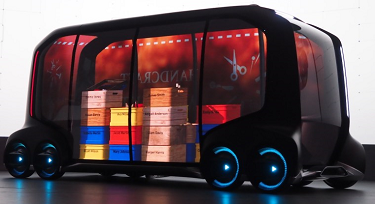 Here’s an innovation straight out of the future – Toyota is developing a store on wheels. Designed to autonomously drive to locations with lots of potential customers, this innovation would permit consumers to browse the store’s selection on site. It’s just a concept for now, but Toyota hopes that it can begin testing this idea out by 2020. It’s already drawn the interest of several prominent brands, like Amazon and Pizza Hut. If consumers aren’t going to brick-and-mortar stores anymore, why not bring a version of the store to them? We continue the theme of autonomous vehicles with Lyft’s big idea at CES. Specifically, it’s aiming to develop a driverless car that the passengers navigate via their mobile device. Admittedly, Lyft’s car still has a way to go, as a driver was behind the wheel at CES just in case something went awry, but this type of innovation could be what takes ride sharing services to a new level of convenience. Your move, Uber. If you take former executives at Apple and BMW, put them together and tell them to develop a car, chances are it’s going to look sleek, stylish and futuristic. And that’s exactly what CES attendees saw when it came to Byton’s new ride. 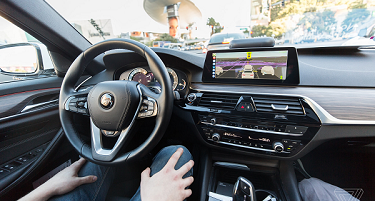 It’s an electric car that replaces the dashboard with widescreen display drivers can talk to, touch or gesture at to initiate a command. It’s also self-driving. 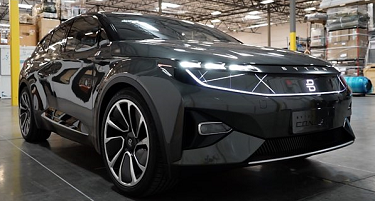 But we think the coolest thing about Byton’s model is that it’s designed to recognize whoever is driving it and work to customize the vehicle settings to that person’s liking. Might Tesla have some competition in the all-electric luxury vehicle space? Hydrogen refilling stations are still hard to come by out there, but that’s not stopping Hyundai from continuing the development of its Nexo hydrogen fuel cell powered SUV. The automaker’s latest version at CES is said to refill in about five minutes and be able to travel for up to 370 miles before refueling is necessary. Hyundai says that’s about 60 miles per gallon. Not too shabby. OK, so this one is part vehicle, part helicopter, but it’s still worth noting. Specifically, Bell has released an all-electric, drone-like chopper that it hopes will become the taxi cab of the future. Bell had the cabin at CES, but said it didn’t want its competition checking out the powertrain, so it left that at home. It hopes to have the chopper ready for demonstrations by 2020. 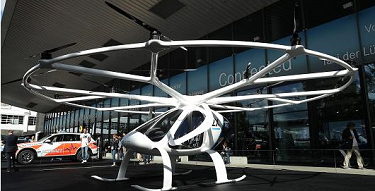 We’d certainly welcome an electric helicopter taxi, just imagine how fast it would be to get to places during rush hour.